Could Your Heel Pain Be Plantar Fasciitis? Posted on March 4, 2015 by Cynthia Jaffe, D.C., NP-C, F.I.A.M.A. Do you suffer from heel pain, especially noticed when you first get out of bed in the morning? Does getting up from a seated position, climbing stairs, running or walking cause sharp pain on the bottom of your foot? You may have a condition known as plantar fasciitis. What is Plantar Fasciitis? Plantar fasciitis is an ‘inflammation’ of the flat band of tissue that runs from your heel to your toes. Technically, it is an overstretching of the plantar fascia that causes the tissue to thicken and usually leads to partial or micro tears. Plantar fasciitis is well known as one of the most common causes of heel pain, especially in runners or people active in sports who have flat feet or tend to hyper-pronate or supinate the foot (roll the foot inward or roll the foot outward as the heel strikes the ground). Sports that cause repetitive stress to the foot such as sports with side to side motion and landing hard on the heels of the foot are particularly vulnerable. Excessive load to the foot such as prolonged periods of standing or walking can put you at risk as well as individuals who are overweight, have tight calf muscles, or wear shoes with poor support. How is it diagnosed? Typically by history and physical examination. Palpation of the inside or medial side of the foot and heel will be tender as well as pulling your toes and foot toward you in ‘dorsiflexion’ of the foot. Ultrasound and MRI are usually reserved for more stubborn to treat cases or to rule out other pathologies of the foot. X-rays are a go to if you are ruling out a stress fracture. What are some other common disorders that could cause heel pain? Heel spurs are another cause of heel pain and are typically seen in conjunction with plantar fasciitis. As the plantar fascia pulls away from the bone, calcium deposits form on the heel to ‘wall off’ or protect the heel from repetitive stress. Stress fractures can occur if constant stressors occur to the foot without sufficient rest or unstressed periods. Fat Pad Syndrome is typically heel pain that is felt in the middle of the heel and is much worse on weight bearing. Usually, you will see this condition in the older individual as the bottom of the heel degenerates leaving less padding for shock absorption. 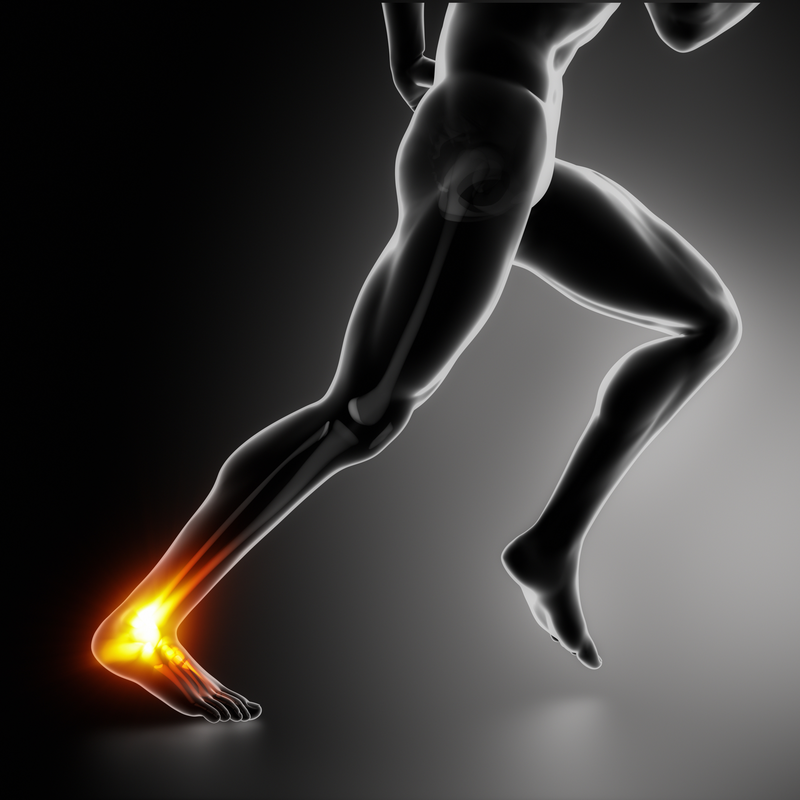 How is Plantar Fasciitis treated? Rest, analgesics, ice massage and stretching exercises are the first line approach for several weeks. Treatment ultrasound and Kinesio Taping of the heel and bottom of the foot to increase circulation can also be successful, as physical therapy techniques. A good 90% of people will respond to conservative care. If a limited response is seen, then foot orthotics, night splinting and steroid injections should be considered. Plantar fasciotomy, a surgical release of the plantar fascia, or extracorporal shock-wave therapy is reserved for chronic cases lasting over 6 months that fail to respond to conservative care. The best time to stretch is first thing in the morning before getting out of bed and before prolonged standing or sitting. Stretch your calf muscle by using a therapeutic band or towel to pull the ball of the foot toward you while your leg is straight hold for 30 seconds and repeat for 5 reps. Stretch your plantar fascia by grabbing your toes for an extra pull while your leg is straight. Hold for 30 seconds for 5 reps. Stretch at least 3 times a day. Roll a ball under the foot to help break up adhesions and loosen the plantar fascia. Use enough pressure to give a deep massage. Finish stretching with a frozen water bottle rolled under the foot to act as both an analgesic and to help control inflammation. ← Q and A: What Can I Do for the Winter Blues?